STEMM-CCS is an ambitious multi-disciplinary project that will deliver new approaches, methodologies and tools for the safe operation of offshore carbon dioxide capture and storage (CCS) sites. The storage of CO2 in underground reservoirs, for example in depleted oil and gas fields or aquifers, is a demonstrated technology on land and - to a more limited extent - in marine systems. STEMM-CCS will develop approaches to help ensure we select appropriate marine storage sites and can monitor them effectively, thus further increasing confidence in CCS as a viable option for reducing atmospheric CO2. STEMM-CCS combines a unique set of field experiments alongside laboratory work and mathematical modelling. A number of research cruises will take place in the North Sea, where a combination of existing state-of-the-art technology and new sensors and techniques developed by the project will be deployed to examine baseline conditions, sub-seafloor structures, fluid pathways and a range of other characteristics relevant to the safe operation of CCS in the marine environment. A key component of the project is an experiment in the North Sea at the Goldeneye site, which has been identified as a potential CCS storage complex. Here, CO2 gas will be released via a drill hole beneath the seabed and its pathway to the seafloor and into the water column tracked and monitored. Prior to the experiment, baseline environmental conditions both at the seafloor and in the overlying water column will be established so that the released CO2 can be differentiated from the CO2 naturally present in the marine environment. Animation showing the planned controlled release experiment in the North Sea. CO2 gas will be released from a sub-seabed source, and its pathway through the seafloor sediments and into the water column tracked, monitored and quantified by a range of novel techniques and instruments, including passive and active sonar and chemical sensors mounted on the research vessel, underwater moorings and Autonomous Underwater Vehicles. A variety of sensors and indicators will then be used to detect and quantify the released CO2, track its dissipation through seafloor sediments and into the water column, and monitor its effects on the surrounding environment. 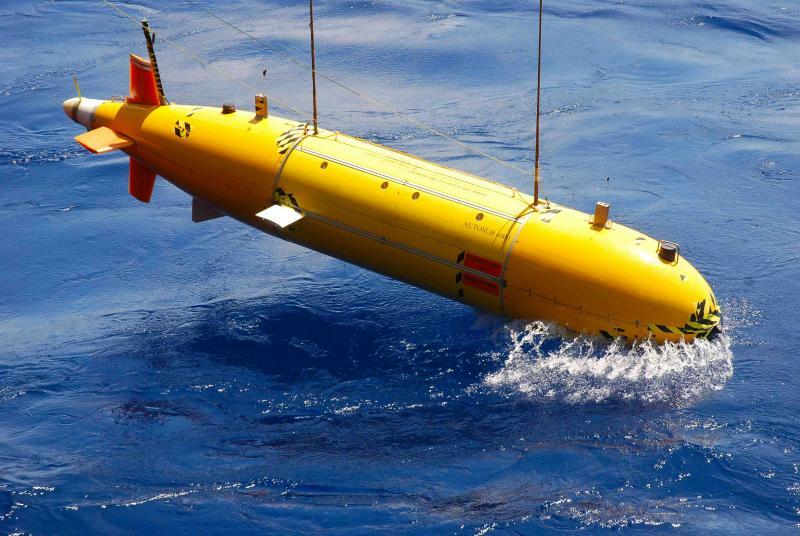 These will include chemical sensor arrays mounted on benthic landers and water column moorings to “sniff” for evidence of release; active sonar devices and hydrophone arrays to “listen” for CO2 bubbles, and Autonomous Underwater Vehicles (AUVs) equipped with passive sonar and chemical sensors patrolling the area. This experiment is unique as it will allow measurement and monitoring of CO2 escape under real subsea conditions at a potential CCS site. It will provide a platform for the testing of new techniques, sensors and sensor combinations, and novel integrations of models, instruments and platforms for the detection and quantification of CO2 escape. The extensive field and laboratory-based experiments, together with the development and application of innovative techniques, engineering solutions and new technologies, will generate a huge amount of new knowledge to underpin recommendations for future best practice and operational support. STEMM-CCS will share its results with a broad range of stakeholders, including regulatory bodies, policymakers, industry groups, academia and the wider CCS community. The project’s work is structured around seven work packages, described in more detail in the sections below. A central part of STEMM-CCS is an experiment involving the controlled release of CO2 into sub-seabed sediments at carefully-chosen site in the North Sea. WP1 will coordinate and develop the technical logistics to support and deliver this demonstration mission. This includes the development of the major equipment necessary to produce the controlled release of CO2 - such as the lander, seafloor drill rig and CO2 injection system. WP1 will also coordinate the experimental and measurement programme in WPs 2, 4 and 5. Efficient and accurate detection of CO2 leakage from CCS sites is critically dependent on having detailed and reliable knowledge of the natural environmental and ecological baselines around the storage site, so that deviations from “normal” conditions can be quickly detected and traced. Establishing a baseline at an offshore storage site is a hugely complex and potentially costly exercise, requiring detailed observation and measurement of a wide range of parameters that encompass the physical, biological and chemical characteristics of seawater and the seafloor environment. Understanding the degree of variability in these characteristics over different spatial and temporal scales (episodic, seasonal, annual, decadal) is crucial for the effective and safe monitoring of CCS operations. WP2 will establish a sound baseline for the STEMM-CCS experimental site in the North Sea. Observational, analytical and modelling techniques will map geomorphology and biological community structure, quantify the spatio-temporal variability of key chemical parameters in both water column and sediments, develop indices for biological community composition and health, and provide estimates of the existing stressors (e.g. trawling, pollution). Models will deliver comprehensive fields of physical and chemical properties, enabling predictions and projections of future baseline conditions against which regulators and operators will be able to plan and future-proof environmental modelling. Streamlining the baseline process is a key objective of WP2, resulting in economically efficient and high quality monitoring strategies for both CO2 escape detection and impact identification. The location and likely intensity of CO2 leakage from a CCS site depend crucially on the distribution, orientation and permeability of fluid pathways in the subsurface. Sub-seafloor geological structures known as chimneys can be up to 500m wide and commonly occur in sedimentary basins such as the North Sea. Thought to have formed as a result of fluid migration and hydro-fracturing, they present potential leakage pathways from a storage complex to the seabed and therefore require careful investigation. STEMM-CCS will use new 3D seismic and sediment imaging techniques alongside direct sampling to investigate fluid pathways in seafloor sediments. A comprehensive geophysical investigation of a known chimney structure will yield important data on its permeability characteristics. Combined with direct sampling of fossil chimney structures on land, this will enable numerical models to be developed that give quantitative predictions of the efficiency of fluid flow through such structures. Permeability created by fracture networks in subsurface sediments will be assessed via borehole sampling, geophysical seafloor imaging techniques and cutting-edge 4D seismic technology. When combined, these datasets will form the basis for a numerical modelling study of overall fluid migration patterns and expected volumes. These results will inform the design of a state-of-the-art cost-effective geophysical survey of the near-surface geology at the Goldeneye site in order to assess the potential for CO2 escape and to identify priority locations for monitoring. The ability to efficiently and accurately detect, trace and quantify CO2 leakage from storage reservoirs is critical for ensuring the safe operation of CCS in the marine environment. STEMM-CCS will determine the most viable and effective methods of detecting any escape, focusing on both the physical expression of CO2 as gas in seafloor sediments and the water column, and the chemical dynamics of CO2 in the dissolved phase. New sensors and detection techniques developed during the project will be tested during the controlled release experiment. The most visually-obvious evidence of CO2 escape - bubbles - will be monitored using active and passive sonar alongside visual surveys to detect, quantify and trace bubble streams in the water column. Other indicators of potential CO2 escape include displacement of natural fluids and gases from the surrounding sediments, which can be detected against expected background levels established during baseline assessment. Such seepages are likely to precede any CO2 escape, and can therefore act as an early warning of reservoir integrity breach. Artificial tracers have been successfully used in land-based CCS projects but have yet to be fully tested for use in marine storage systems. A range of chemically and isotopically distinct substances will be added to the CO2 in the controlled release experiment. This will allow us to assess their suitability as sensitive tracers of gas movement through the marine environment, to quantify the volume and rate of release, and to investigate how the CO2 interacts with the sediments. Data collected during these studies will feed into the models developed during the baseline exercise to produce a comprehensive model system capable of simulating leakage scenarios and environmental effects at a variety of spatial scales. WP4 will focus on simultaneous calibration of various techniques for detecting and quantifying CO2 released in the sub-seafloor experiment in the North Sea (WP1). This work is crucial for ensuring compliance with the EC CCS Directive, and for promoting confidence in CO2 storage as a viable technology for reducing anthropogenic input of CO2 to the atmosphere. Innovation and technology development is at the core of STEMM-CCS. From major engineering challenges to improvements in the detection of CO2 escape, we will go beyond the current state-of-the-art in crucial areas that will provide confidence in the large-scale roll-out of operationally safe and environmentally sound CO2 storage in offshore geological reservoirs. This innovation will include the design and application of new techniques and strategies, as well as the development and/or improvement of instruments and platforms for the detection and quantification of CO2 escape. WP5 will address capability gaps in the instrumentation, sensors, observational systems and techniques required to reduce the cost and uncertainty in measurement of the environment at proposed and operational CCS sites. These measurements enable site characterisation and selection, baseline survey, leak detection, leak quantification, environmental impact assessment and mitigation/remediation decisions and efficacy assessment. STEMM-CCS has the potential to export knowledge and products to many international stakeholders and WP6 will collaborate with, and benefit from, the many research and development initiatives and associated observations underway outside the EU. WP7 will share the knowledge gained and the methods proposed in WPs 2, 3, 4 and 5 with a range of appropriate stakeholders and other interest groups through a variety of approaches. WP7 will provide informed guidance and materials to aid the process of sharing knowledge across a range of stakeholder groups, including the local communities, scientists, CCS operators, marine industries, policymakers, regulators, NGOs and other interest groups. WP8 is responsible for the coordination and management of the project and is coordinated by NOC-NERC. For further inquiries about the project, please contact STEMM-CCS@noc.ac.uk.